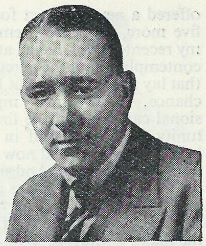 1939, the village of Chippingwood. The great and the good of the village – the local squire, his son, the vicar, his daughter, two old ladies, the village doctor and his femme fatale – are planning a play to be staged for charity. After much contention about the choice of text – modern vs very traditional – the only thing left to decide is who shall play the overture to the play? A word or two of explanation. We’re having a bit of a Golden Age splurge on the blog at the moment due to the upcoming Bodies In The Library event at the British Library. I’m trying to fill in a few blanks in my reading so expect a little more Allingham, another punt at Sayers, the other Ianthe Jerrold book, some E R Punshon and some other authors who I really should have read a little more of. Because I’m trying to put my finger on what makes a book “Golden Age” – it’s more than just being written in the correct time period, methinks. And no one quite agrees on that time period anyway. But that’s for another post – on to this one. As you may know, the New Zealander Ngaio Marsh was one of the four Queens Of Crime, alongside Dame Agatha, Margery Allingham and Dorothy L Sayers. Was Gladys Mitchell annoyed at being overlooked? I wonder… Anyway, I’ve encountered her work before on the blog – Clutch Of Constables (featuring that arch-villain the Jampot), False Scent and the atrocious Surfeit of Lampreys. This one – the last chance saloon of a book for Marsh for me at least – is the one on the recommended reading list for the event. So I presume this is generally regarded as a good one. Because so far, I’ve been less than impressed. But this one? Let’s see what the papers say. “Read just one of Ngaio Marsh’s novels and you’ve got to read them all” – The Daily Mail. Um… you have heard of that other writer? Agatha something… Never trust the press. Actually, he’s not as dull as he has been. He does a nice Sherlock Holmes impression for a bit, which is rather fun, and at least people aren’t calling him Handsome Alleyn to his face this time. He still has the habit of calling Inspector Fox things (such as Foxkin) in front of other people that basically sounds like he’s flirting with him, but I think that’s a quirk that I just have to move past. Do I presume that you’re a Marsh fan? If so, any recommendations? I’m sorry you don’t like Marsh. I’ve always enjoyed her books. Any recommendations? Is this one of the better ones in your opinion? I recently enjoyed Scales of Justice. Most of the rest I read decades ago, so I’m less confident about making recommendations; but I remember especially enjoying Artists in Crime.and Death at the Dolphin. Sorry you didn’t like it; I think it’s one of Marsh’s best. (I wonder, though, whether mathematically inclined readers are less likely to enjoy the arty writers.) I’d recommend Death and the Dancing Footman; Colour Scheme; and Final Curtain. 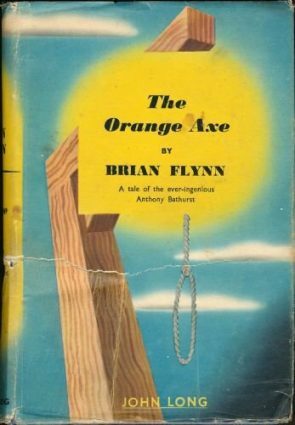 Singing in the Shrouds (a classic shipboard mystery), Scales of Justice, Off With His Head (folklore in an English village and severed heads) are also great. All have strong situations, excellent characterization and ingenious methods. It’s the mystery element that’s lacking – as is ever the case with Dame Ngaio. This is one of the better ones that I’ve read but I’ve still to encounter one that comes close to earning her the title of the fourth Queen of Crime. The mystery element lacking? 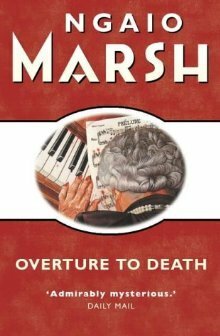 I think Marsh always does an excellent job of combining a novel about people with a fair play puzzle plot. Most of her books have a strong setup, memorable victim and murder. She’s not as dazzling as Carr or Christie – no the narrator did it, the reader did it tricks – but the culprits are well hidden and the plots (after the earliest ones) built around a strong idea. In Overture, the murderer surprised me; the clues are excellent; and the plot is really well worked out. And it has a splendid murder method (death by piano) and several good characters. I have tried a few. I like them, often a lot, until Alleyn appears. Then they sink like a stone. You should try Kitchin’s Death of My Aunt btw, one of my very favorite GADs. PS I know TRAITOR’S PURSE did not go well, but Allingham really, really is much better. DEATH OF A GHOST, FLOWERS FOR THE JUDGE, FASHION IN SHROUDS, and TIGER IN THE SMOKE all fab! “…the book is too long. There’s a short story here…” Isn’t that generally true of whodunnits? Isn’t the short story their natural form, and they all have to be padded with something other than mystery in order to get to novel length? Either that, or the plots get so complicated that you can’t expect a casual reader to follow them. I’m not defending Marsh here as I’ve only read one of her books a long time ago, but making a general point. It’s a common flaw, certainly, especially for some writers. But others have no problems. The issue here is that nothing is revealed in the second half that advances the plot and most readers will have already spotted the murderer and just want Alleyn to catch up. I attempted some Ngaio Marsh but found it so awful that I gave up. Not for me. 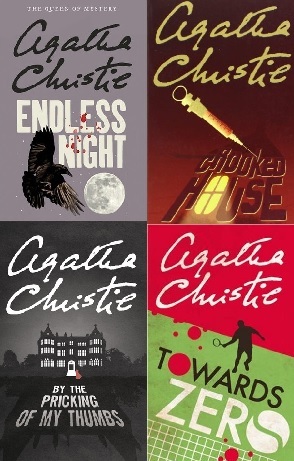 You have spoken of the 4 Queens of Crime but one of them is so far ahead of others that it would be more appropriate to talk about The Queen Of Crime ! However I regard Margery Allingham as much, much better than Ngaio Marsh. Of course, the true “Queen” of crime is Ellery! It’s not my phrase, but one that’s in common usage – hence mynown investigation into it. By the way, what’s the deal with her first name? How the heck are you supposed to pronounce it? I refuse to read writers whose name I cannot pronounce. How the heck are you supposed to pronounce it? Nye-o is how it is pronounced, I believe. It’s a Maori word from her native New Zealand. Marsh often took here time to get to the murder. I find it curious that she never tried writing some non-detective fiction. Especially her books about with theatrical settings seems to be about the theater and the actors as much as about the murder. Even Christie wrote romantic fiction and perhaps that is a genre Marsh should have tried as well. Especially as the build tends to be more interesting. But I’m not sure how well the Westmacott romances sold – maybe there was simply more money in murder. That is probably true, though if Marsh wrote under her own name she would probably still get some readers for non-detective fiction since they presumably read her in large degree for the non-murder parts. I like Marsh’s last book, “Light Thickens”, for its depiction of a production of Macbeth but as a detective novel it is a very poor effort, with a murder that takes place late in the book and where little of what happened before has any relevance to the murder. I wonder whether it would have sold if it was presented simply as a novel about a theatrical production. Sorry to see that you’re not enjoying Marsh more. For me, she is quite clearly no. 2 of the GA Queens. Sayers is boring (especially her later books where she is casting longing glances at Lord Peter) and Allingham unfortunately seems never to be able to decide whether she is a GA writer, a thriller writer or a writer of comedies of manner. Both have written good stuff, but to me Marsh is much more consistent. Unfortunately, it seems that her consistency – long introductions with Alleyn only coming in at a later stage, Alleyn’s mannerisms etc – is what you don’t like about her, so you may be right in writing her off. My own personal favourite is “Singing in the Shrouds” – I’m a sucker for train/boat settings, and in this case it’s the latter. “Hand in Glove” is a somewhat more run of the mill village mystery, but very enjoyable to me. “Death in a White Tie” and “Death at the Bar” are good reads as well. I enjoy reading your blog, and I share many of your opinions otherwise, and I’ve done quite a few purchases based on what you’ve recommended, but we do differ in some instances, so it may just be that Marsh is one of those authors. But to leave off on a more positive note, I did enjoy the first of the Nev Fountain books and Kerry Wilkinson’s “Locked In” was also a good read – so thanks for those recommendations. I’d probably not have found them otherwise. Is this the one with the onion? Ngaio Marsh books all tend to blend together for me. If so, then this was the one where I finally decided to stop giving Marsh the benefit of the doubt and give up on her.